How does the human mind work? Each publishing season unleashes another cascade of books addressing that subject from a wide array of perspectives. This recent one got a lot of attention, partly because the author won the 2002 Nobel Prize in Economics for his work on decision-making. 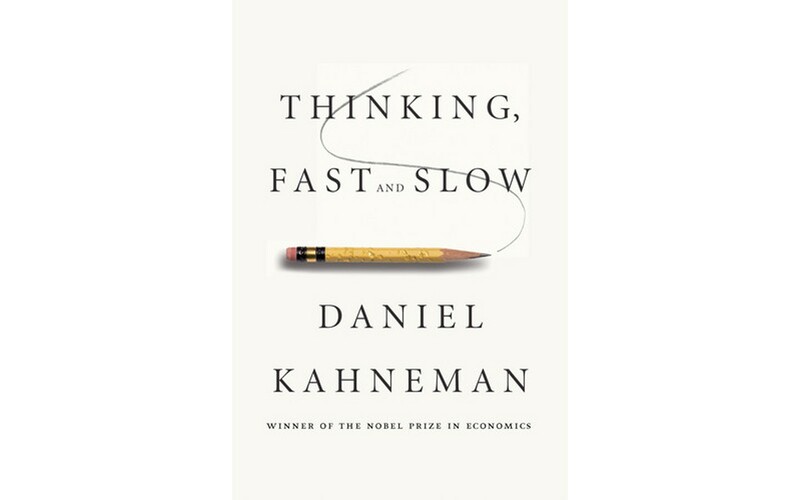 Based on an experimental psychological approach, Kahneman's premise is that we think basically in two ways: our "automatic system" of intuition and emotion (the "thinking fast" of his title) called System 1, and the more effortful system that employs logic, calculation and deliberation ("thinking slow") called System 2. He narrates how these work very well at first. But then he explains that he won't continue using the "more descriptive" term "automatic system" because it takes longer to say than "System 1" and so "takes up more space in your working memory," which might distract you. Really? And it is less distracting than the extra step of trying to remember what System 1 stands for each time it comes up? I also wonder if he's playing fair. He gives a quick math puzzle and instructs the reader: "Do not try to solve it but listen to your intuition." Intuition gives most people the wrong answer, and a page later that prompts him to use this as evidence of "a recurrent theme of this book," that people "place too much faith in their intuitions." Or maybe too much faith in following instructions? Apart from quibbles, what's his basic point? Because the automatic system usually predominates, people make bad decisions, basically because they don't calculate risks or otherwise employ statistical thinking, but go with their cognitive biases. This makes for poor business strategies, bad stock market choices and lousy vacations. This has some explanatory appeal (maybe rationalizing Republicans, or economists) but he seems to treat as axioms the propositions that effortful thinking is basically statistical, and statistics are the royal road to truth and happiness. Both my Systems tell me this is too limited. Relying on statistics doesn't always work that well for science, let alone life. Statistics tells you about probabilities and groups. They deal well with at most two or three variables. Life involves the unique interplay of much more. Kahneman's style can be engaging, and there's much to explore in these many pages -- and a lot to argue with -- if as a non-specialist you can see the point of navigating the math. Despite the fulsome praise by academic heavyweights displayed on its back cover (one placing this book in the company of Freud's and Adam Smith's landmark works, another calling Kahneman "one of the greatest psychologists and deepest thinkers of our time") my statistically insignificant experience was of much ado about not enough.